How to do your own SEO - some easy ways to be successful! The entire process of search engine optimization (SEO) is neither a one-time, nor a one-step matter. It involves numerous steps in different directions to work effectively and needs to be executed frequently for sustainable results. In our article explaining why Search Engine Optimization (SEO) is no longer optional for Internet businesses, you’ve learned about the importance of SEO today. However, unless you are really willing to familiarize yourself with the matter, buy the proper tools and invest the time for analysis and evaluation, you will only be able to perform some parts of the SEO necessary for a well optimized website yourself. To do your own SEO successfully, your content should be based on keywords, because that is, what the search engines are looking for. The search engines do not evaluate if your text is easy to understand or if you made your point. They rather look for keywords to find out, what this content is ABOUT. When you do your own SEO, your keywords should represent the core topic of your content. The more you narrow it down, the less potential for misunderstandings will occur with regard to the search engines. Your keywords should also appear several times in your text to point out their importance to the search engines. Stuffing your content with endless lists of keywords is not only repelling to human readers. It can also take negative effect in the search engines. Search engine algorithms are constantly changing for improvement and prevention of unfair tactics of website owners. “Tricks” that may have worked yesterday, may backfire today. “Keyword stuffing” is categorized as spamming by many search engines today and can result in the exclusion of the website from the catalog. But even if that doesn’t happen, stuffing is still not helping. Too many different keywords make it nearly impossible for the search engines to properly categorize your website und in lucky cases will result in lower rankings. In worse cases it will result in FALSE categorizing, which may bring your website visitors, but not your targeted group. Human readers will also find that annoying and likely not read much of the text. Text that reads unnatural is more likely to repel people than attract business. The more natural and appealing your writing style, the more likely people will contact you. 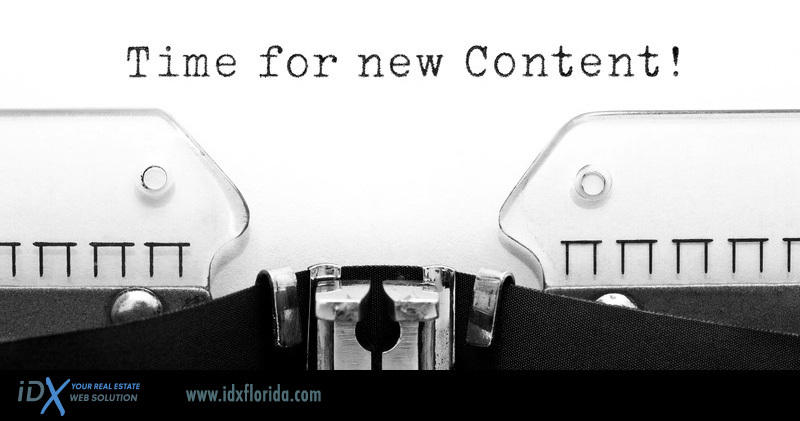 If you produce your own content, you can consider the search engines already while you are writing. But you should also take into account that humans will be reading your content. The best search engine optimized content is not worth a dime, if it does not provide a certain level of valuable information and reading comfort for the human reader. If your content reads unnatural or is difficult to understand, people may still find and enter your website. But they will move on quicker than your content can tell them what your website is all about. Considering the large amount of automated scam and spam in the Internet, content that reads like written for or by machines is more likely to repel people than attract business. A natural style in writing on the other hand builds trust, because your content is often the first contact between you and your audience. If you have a Content Management System (= CMS) such as WordPress, Expression Engine, Typo3 or Joomla behind your website to manage it yourself, you will likely see options to enter Meta information with every entry you make. If you have left those empty so far, start filling them right now! The Meta Information includes Meta Title, Meta Description and Meta Keywords. Many SEO experts argue about the value of Meta keywords today. Formerly those were used by search engines crawling the internet especially for this set of keywords to index websites. Unfortunately there has been a lot of abuse of these keywords, which inevitably lead to changes in the way search engines are evaluating websites today. For the major search engines the Meta Keywords today are the least important part of your website. While this is meant to tell you that filling or not filling the Meta Keywords is your own decision on the one hand, filling Meta title and Meta Description on the other hand is anything but optional! Please do it right. This section is NOT the place to fill your entire article in – neither are tags, by the way! The title should be a crisp extract of the core topic, including your most important keyword/s ideally somewhere among the first words. Try not to exceed 60 characters with your title, Google will ignore all exceeding letters. The same goes for the description. It can be a little bit longer – max. 140 characters – and also should include your most important keyword/s. Meta Title and Description will NOT ONLY be seen by search engines. Title and description are what appears on the result page of a search engine, when your website appears listed among the search results. Ergo, title and description are merely the FIRST thing a visitor who finds your website in a search engine will read about your website. Bearing that in mind, it is fairly self-explanatory that your title and description should make some sense. Be very precise and formulate your description for being read by search engines AS WELL AS HUMANS. Add a friendly but meaningful invitation to your description to encourage people to visit your website. Needless to mention that putting a little bit more thought into it than just “learn more” is a good idea. The searching person will likely have read his fair share of “learn more’s” already. Images provide visual orientation aids for the reader and break longer text down into easier to consume pieces. Search engines are not able to see images. But there is a way for you to make your images visible to the search engines: Fill in the Alt Text field related to your image, when you insert it into your website. The Alt Text should be a short description of what the image shows or the concept it is representing. This is also a good opportunity to insert your main keyword/s once again without bothering the reader. Alt Text is usually not visible to the website visitor, unless the related image can not be displayed for some technical reason. In that case Alt Text serves as a placeholder, explaining what the viewer is supposed to find in this empty area. Usually the Alt Text is only read by search engines (TADA!) and readers for impaired people using the Internet. Thus with Alt Text at the same time you are making your website more search engine friendly AND also more barrier free for use by impaired people. As search engines are not able to see images, it is not a good idea to place important text or keywords on any images in a way that “merges” the text into the image. Use the “caption” function in your website backend – if present – or find another way to place text in a way readable by search engines next to your image. Your images do not need to have a higher resolution than 72 DPI. Images in printable resolution do not look any better on a screen that those in just screen resolution. The difference is that printable resolution requires larger files. Stuffing your website with large files can drag down the performance of your website, increase loading times and overall interfere with a comfortable user experience on your website. Not only does highlighting of important parts and dividing of text into pieces by headlines make your content easier to consume by human readers. It also tells the search engines what’s important. Again, as before, do not overdo it. Limit yourself to a reasonable amount of highlighting to avoid the impression of spamming and to keep the reading experience comfortable and avoid confusing the search engines. If you have topics on your website that relate to each other, try to find the dots and connect them – with links. Not only does this provide another way to your website visitors to experience important parts of your website. It also helps the search engines to identify them. If you insert information from other websites into your website, place a source link as well. The best links are links related to your own business in a way. If you sell shoes, a website selling socks may be a good match. Ask other website owners with complementing services for link exchange. If you don’t know where to place those links, set up a referral page as part of your website. Also if you are exclusively or additionally acting local, register your website and URL in local directories. If you have a business location where people can visit you, set up an Account for local businesses on google. Links from and to your website are one of the aspects evaluated by the search engines when they categorize your website and assign a ranking. In general, the more links point towards your website, the more important the search engines consider your website. This can lead to higher rankings and make your website more visible in the search engines. However, some clever-clever people thought to take advantage of that by building networks to sell links and some clever-clever website owners buy those to boost their rankings. Sadly, the search engines today see right through that by identifying paid-for links. Not even does this make the links worthless with regard to higher rankings, it can actually lead to a downgrading of your website. As links are an important aspect in the evaluation of your website by search engines, it is also not wise to just have NO links at all on it. this is like a bunch of routes without signposts. Being present on Social Media Platforms is as complex as building your website. However, it is also a valid and valuable marketing tactic today. If you are not sure, which of the numerous platforms are right for you and how to represent yourself and act on them, talk to us. We will be happy to help you with advice. Social Media Platforms help you to extend your range and reach people, you would not reach over your website. They help you to spread important information and to build your reputation. of Pew Internet, between 2005 and 2011 the use of Social Media Platforms has increased from 11% to 65% of US Internet users. Do: Write! And write original content. Today informative content presented in the proper way is favored by the search engines. Therefore if you have something to say, do so frequently. Frequently adding new content inspires the search engines to re-evaluate your website and re-assess its value for the Internet community. This can result in higher rankings, when search engines start considering your website more important, because of – among other factors – the increasing amount of valuable information on your website. If you are not sure were to place your information, start building a blog connected to your website, to publish your expert knowledge. If you want to tie your ideas to the thoughts of others, do so in your own words in order to create entirely new content. It is not unethical to be inspired by others. But add your own perspective, experience or expert advice to give your information some additional value for the reader and the search engines. If you want to quote text 1:1 from other websites, in any case consider this a quote and place a link to the source with is. If the text is worth being copied, then the website is worth being linked by you. If that website is your direct competition that you do not want to promote by linking to it, well maybe than it’s time to find your own words. If you don’t have the time to write your own content, invest in paying someone reliable for it. It’s worth it! If you need help with the creation of your content, talk to us. We will be happy to assist you. Just copying text from other websites is not only worthless from an SEO point of view, because it is considered to be just “duplicated content” by the search engines. It can actually hurt the reputation of your own website. If the amount of duplicated (= copied) content is too high on your website, the search engines will not consider the information on it valuable for the Internet community. Because you only publish what others have published before 1:1. Yes, search engines “see” that! Also your website visitors will move on quickly, when they only find information they have read before. duplicated content does not give you any chance to show your own expertise and professionalism. Moreover it can also drag you into copyright disputes, because just as images, text is considered to be the intellectual property of the creator. Find some more interesting information on duplicated content and more marketing tips in our article about leads, which by the way are another means of marketing for your business. You see to get started there is already a lot you can do yourself to optimize the content of your website for search engines, if you yield the “Don’ts” as well. This first part is as important as all of the other steps, professional optimization will take. If you are not able to execute all of the steps described above yourself, but still want to take advantage of comprehensive website marketing, talk to us. 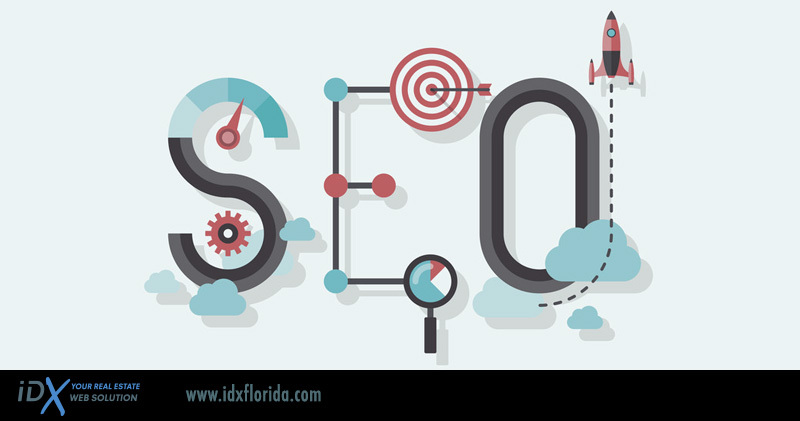 Besides the design and set-up of your new professional Reals Estate Website, the team of idxflorida.com offers one-time and ongoing services in basic SEO to you. Talk to us about your SEO goals and let’s figure out the best marketing strategy for your needs and budget today.